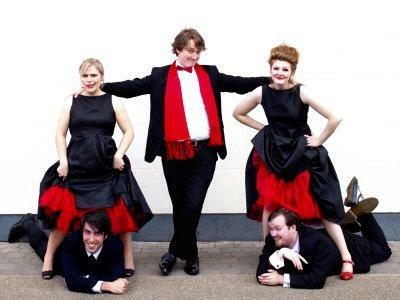 All That Malarkey are a strikingly original and entertaining vocal act combining opera, pop and comedy. 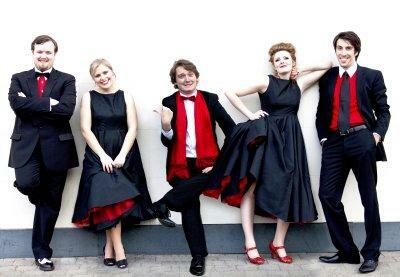 A Classically-influenced vocal ensemble, All That Malarkey (ATM) is a group of young singers who specialise in blending beautiful voices and unique arrangements in a collision of opera, pop and comedy. 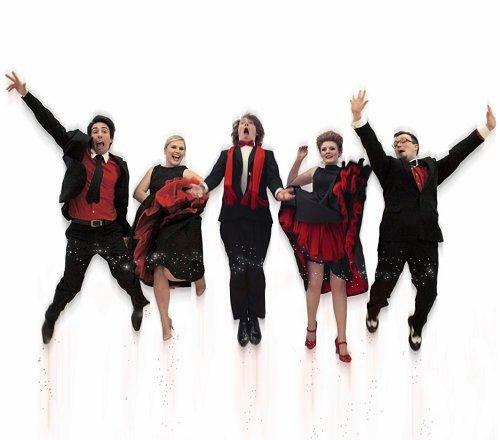 Entertaining, sophisticated and wildly funny, the result is a classical cabaret fusion that adds a memorable, uplifting and high-quality element to any event. They are available to hire for corporate parties, balls, product launch parties, film premieres, anniversaries and weddings. These corporate entertainers really know how to get people on the dance floor! Programme is always prepared to order based on repertoire list and requests. All performances are semi-staged and compered energetically by the Musical director/pianist. Tight harmonies…bags of energy…four dangerously good singers, with a hilarious MC and pianist…thoroughly appealing and professionally hilarious. provide a sharp edge that delivers the unexpected. A background of Classical music discipline shines through their highly professional approach to their work. I cannot recommend All That Malarkey highly enough! events. Cannot recommend them too highly. is high praise indeed, especially as he played at his own dinner 2 years ago! I’ll remember the evening for many years to come and if doing it again, I wouldn’t change a thing. 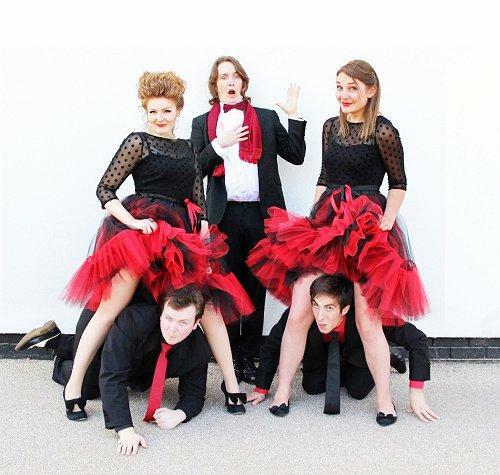 I have had the great pleasure of knowing and working with ‘All That Malarkey’ for over two years and I think that they are a most talented and unusual group of young singers. Their work is not only of the highest standard musically but also very original and full of wonderful humour. I have enjoyed watching them develop into very sophisticated and highly entertaining performers. Cabaret, comedy, classical music, bonkers behaviour…bloody brilliant!